Irinjalakuda is a Municipal Town with historic importance and rich cultural heritage. 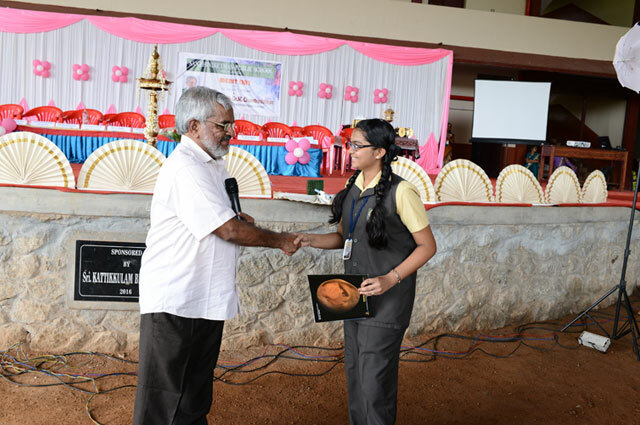 Koodalmanikyam Temple, Unnayiwarrier Kalanilayam, Natana Kairali etc.are world famous centers situated at Irinjalakuda.In the educational filed Irinjalakuda enjoys a notable position. An added attraction attributable to Irinjalakuda is its serene beauty with lush greenery and the rare privilege of being free from industrial and atmospheric pollution. The prevailing cultural and communal harmonies are added creditable achievements of Irinjalakuda. A large number of the people settled here for professional, educational and business purposes were true followers of Sree Narayana Guru. 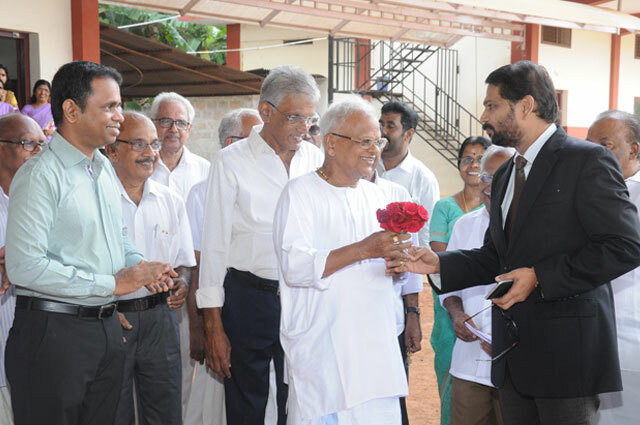 With the object of bringing them under an umbrella in order to develop social contacts, friendship and cordial relation with each other, a charitable society - Sree Narayana Club was formed in 1992. Success of the club encouraged its elite members and well wishers to think of upgrading its activities and services by entering into more service oriented areas especially the much wanted field of education. The preaching's of Guru to get enlightened and uplifted through 'Vidya' was the guiding factor for seats in good English Medium Schools and the shortage of such schools in Irinjalakuda decided to take initiative to start a CBSE schools. After the Kuwait war a large number of families settled in Gulf countries were forced serious difficulties to continue the education to their homes. Many of the parents faced serious difficulties to continue the education of their children in CBSE schools. The shortage of CBSE schools at Irinjalakuda was seriously felt and to take immediate steps to solve the situation. 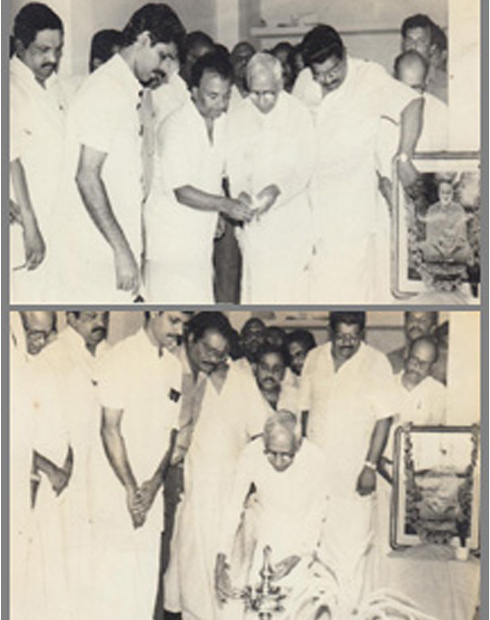 For this purpose a separate Charitable Society, 'Sreenarayana Educational Society' was formed and got registered under Travancore Cochin Literary Scientific and Charitable Society Act 1955 with Regd.No.423/1993.Late Sri.C.R.Kesavan Vaidyar was the first Chairman of the society. The first Board of the society was constituted with 21 members consisting of eminent personalities of Sree Narayana Community and 7 executive committee members. The first Executive committee members. The first Executive committee members were Adv.K.R.Achutan (President), Sri M.K Subramanian (Vice President), Prof .R.K Nandakumar (Secretary), Sri M.K.Vijayan (Joint Secretary), Sri K.K Krishnanandababu (Treasurer) and Sri.V.S.Vasudevan and Adv.P.E.Janardhanan Committee members. The prime venture of the society was starting a new school in the 'Public School' pattern from LKG to Senior Secondary Level. The School with it's, first LKG Batch was inaugurated on 14th June 1994 by Sri.K.P.Viswanathan, then Forest Minister of Govt.of Kerala. 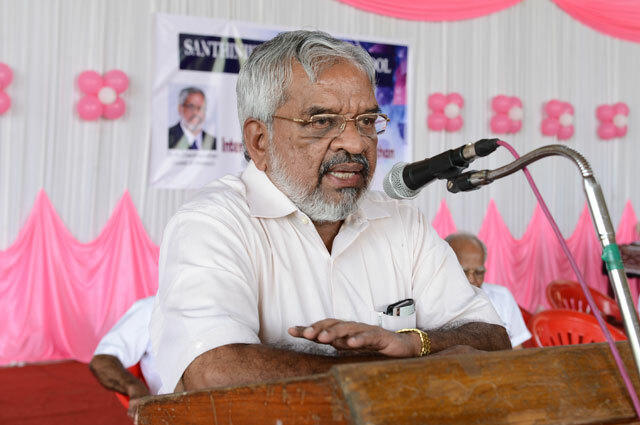 The school was the temporarily housed in the building of Sri.Kattikulam Bharathan, the first Vice Chairman of the Society, in the vicinity of Irinjalakuda Municipal Bus stand and Town Hall. 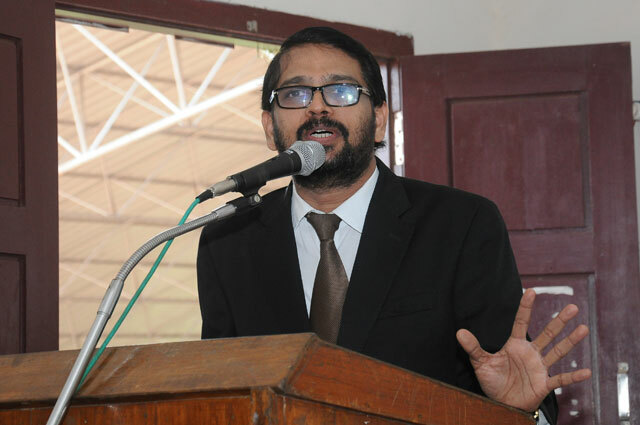 In the beginning Maj.P.C.Ramakrishnan served as the Administrator of the school. His efficient leadership paved the way for rapid growth of the instution in a short span of time. During the period the Society, purchased a beautiful site extending about 6.5 acres on the north side of Kattoor road about one km away from Municipal Bus Stand. It is matter of pleasure and pride to report that a large portion of our land holding belonged to the family of our present ISRO Chairman Sri.K.S.Radhakrishnan. A three storey building of 20 class rooms having an area of 18000 sq.ft with perfect infrastructure was constructed under the plan and supervision of Engineer Prof.E.k.Eapen, in accordance with PWD specifications and rules of central schools. On completion of the first floor of the building the school was inaugurated by the Honorable HIGH Court Justice, K.G.Balakrishnan on 8th February 1997.The constructed a separate two storey building with 6 class exclusively for KG Section .In 2007 we have completed our third building with 12 class rooms having an area of 10000 sq.ft exclusively meant for senior secondary classes. 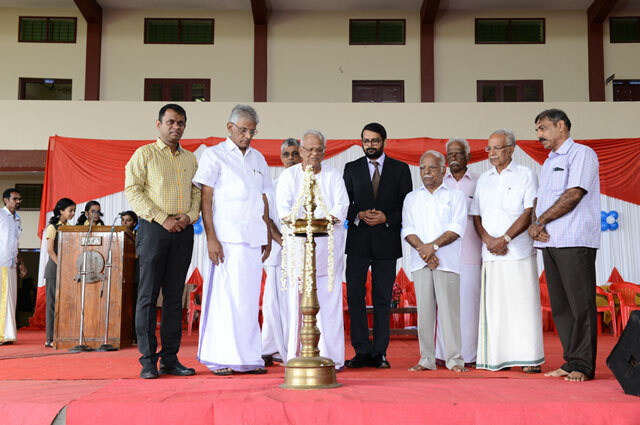 The foundation stone of this building was laid by Adv.Thomas Unniyadan, MLA and classes in this building was blessed and inaugurated by Srimat Sachidanada Swamikal of Gayathri Ashram Chalakudy. First affiliation was received in 2001.Stage by stage affiliation was upgraded and secondary affiliation was received in 2005. The first batch of our Higher Secondary students appeared for CBSE Board examination in 2006 and Senior Secondary in 2008.Our students have come out with flying colors in all the examinations. We have been continuously receiving cent percent results and merit awards from various sources. We very much appreciate the dedicated services and co-operation of our teachers in maintaining high standards of education and achieving good results. We hope, the selfless services and enthusiasm of the management, the dedicated services and hard work of our Principal, teachers and staff, the initiative and hard work of our students and above all the sincere co-operation and involvement of our parents will lead the school to progress. May God bless all. NAME OF THE SCHOOL WITH ADDRESS: SANTHINIKETHAN PUBLIC SCHOOL IRINJALAKUDA, THRISSUR DIST. KERALA - 680121.